A ravishing, intricately wrought evening of music, humor and emotional depth. An evening like this is the strongest argument for the continued vigor of the Met. 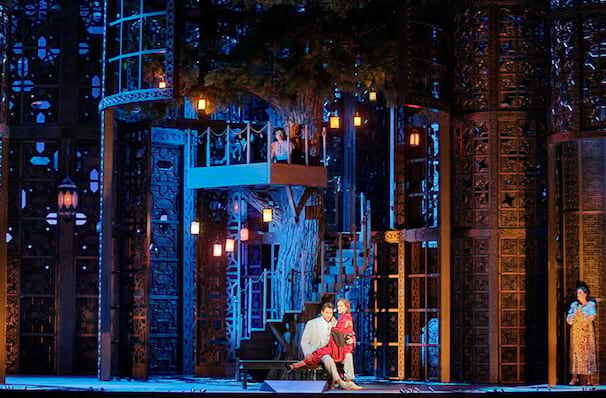 Why See Metropolitan Opera: Le Nozze di Figaro? Mozart's Le Nozze di Figaro returns to the Met, in a brilliant production by Richard Eyre. Set over the course of one mad cap day, we re-join the characters of Figaro, Rosina and Count Almivira from The Barber of Seville, and the servants that have to outwit their increasingly outrageous behavior. Two casts will take on Nozze, with conducting duties shared by Antonello Manacorda and Cornelius Meister. It's a complicated plot, so we have decided to break it down as much as possible without giving too much away! We catch up with our heroes Figaro and Susannah, who are at last to be married. However, they haven't counted on the arrival of several nefarious characters, including the Count, Marcellina and Dr. Bartolo, each determined to break up the happy couple and have them for themselves. However, even more, trouble arrives in the shape of the handsome teenager Cherubino, who is also determined to have Susannah - but he also declares his love to all the women in the house. Meanwhile, the Count and Figaro engage in a dangerous yet hilarious war of pranks, including disguises and marriage contracts. Marcellina, Dr Bartolo's former housekeeper discovers a secret about Figaro which stops her seduction of him. However, Susannah sees its embrace and misconstrues the situation entirely. Together with the Countess, the two conspire to make their husbands realize how much they are loved, and to put a stop to the farcical dalliances once and for all! Seen Metropolitan Opera: Le Nozze di Figaro? Loved it? Hated it? Sound good to you? 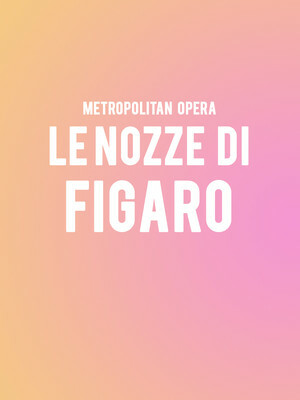 Share this page on social media and let your friends know about Metropolitan Opera: Le Nozze di Figaro at Metropolitan Opera House. Please note: The term Metropolitan Opera House and/or Metropolitan Opera: Le Nozze di Figaro as well as all associated graphics, logos, and/or other trademarks, tradenames or copyrights are the property of the Metropolitan Opera House and/or Metropolitan Opera: Le Nozze di Figaro and are used herein for factual descriptive purposes only. We are in no way associated with or authorized by the Metropolitan Opera House and/or Metropolitan Opera: Le Nozze di Figaro and neither that entity nor any of its affiliates have licensed or endorsed us to sell tickets, goods and or services in conjunction with their events.